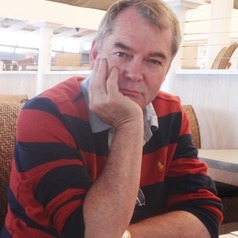 Mike Archer was born in Sydney in 1945 and is a dual citizen of USA and Oz who returned to Australia as Fulbright Scholar in 1967. He's a biologist, geologist, palaeontologist, environmentalist and mammalogist who was hooked on science from age 11. He has more than 350 peer-reviewed publications including wide range of books, many popular science articles; more than 80 research students; many ARC research grants; five Fellowships in learned societies; many professional roles; several institutions established; two companies established; many current research projects; international/national keynote addresses. Current major projects include: palaeontology of Riversleigh World Heritage area, reconstitution of ancient DNA (Lazarus Project; see TED talk by Archer on DeExtincting Thylacine and Gastric-brooding Frog), innovative conservation programs, conservation through sustainable use of native species programs, biofuel company based on sustainably harvesting native grasses, creation/evolution issues and conservation value of native animals as pets.